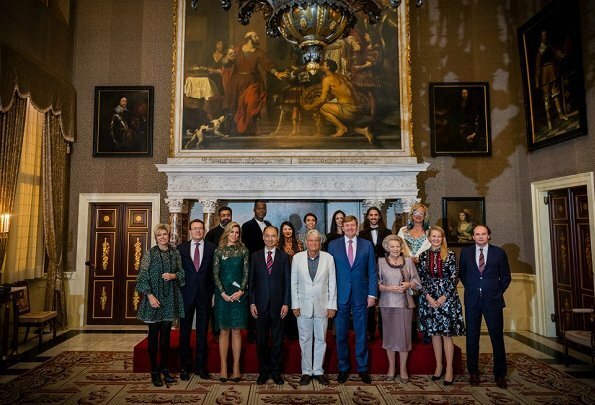 King Willem-Alexander, Queen Máxima, Princess Beatrix, Prince Constantijn, Princess Laurentien and Princess Mabel of The Netherlands attended 2017 Prince Claus Awards ceremony at Royal Palace in Amsterdam. Brazilian film director and human rights defender Vincent Carelli and Chinese environment consultant and journalist Ma Jun were honoured with 2017 Prince Claus Award. In addition to that main awards, other five awards were presented by Prince Constantijn to the awardees. 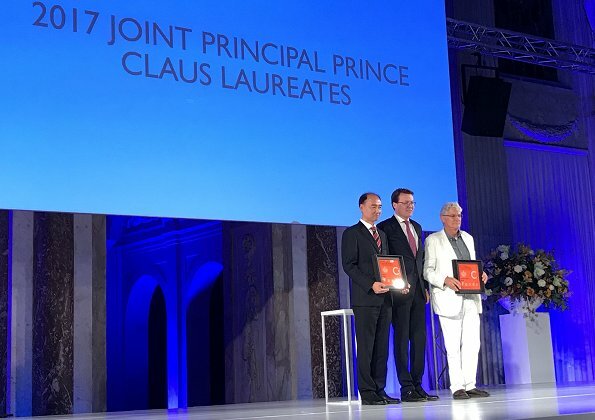 Artists, thinkers and organizations that make a positive contribution to the social development of their countries are honoured with annual Prince Claus Awards. 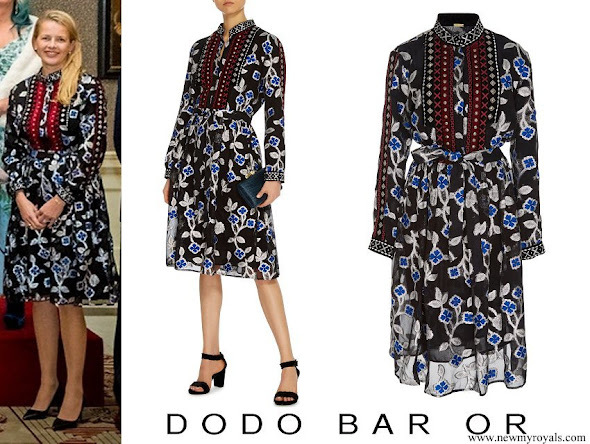 Maxima show her appropiate side of style -elegant and femine.Lacy is perfect for her. The king's pants are just too wrinkled and the queen's dress is too. Also it's too short and her knees have become old and ugly. Her lovely smile always saves her though! Both Laurentien and Mabel look happy and well-dressed! Whose knees are you talking about? Are you referring to Máxima? You can see from these two pics of Maxima that her knees look old and ugly? LOL you are talented! 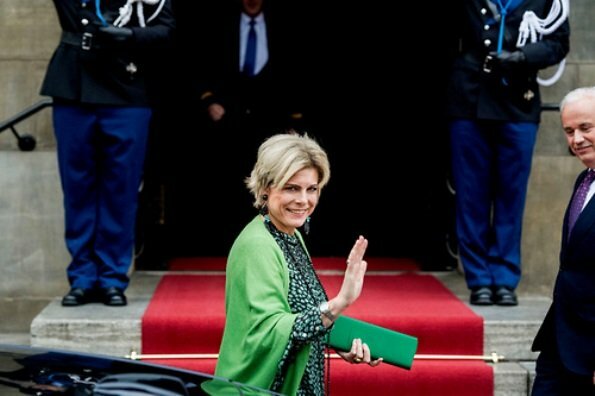 Love Maxima´s green lace dress, I would love to have that myself. Laurentin looks good, nice earrings. Mabel´s dress is too busy to my taste. 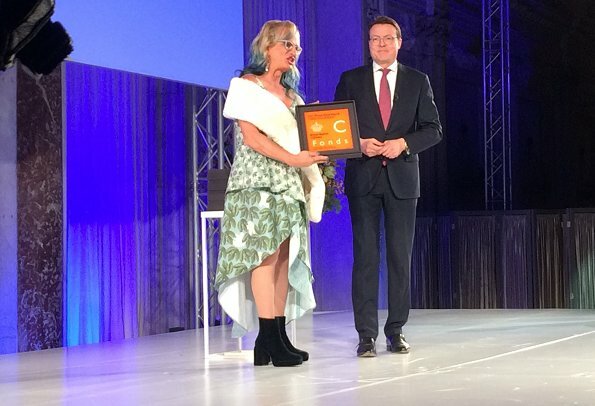 That woman with Prince Constantijn has obviously taken bedspread from very cheap motel to cover herself. Bedspread? I don't think so. But it is an ugly mixture of God knows what, it makes me cringe. How in the world can young women wear those horrors? I am 81 years old and dress far better than that. 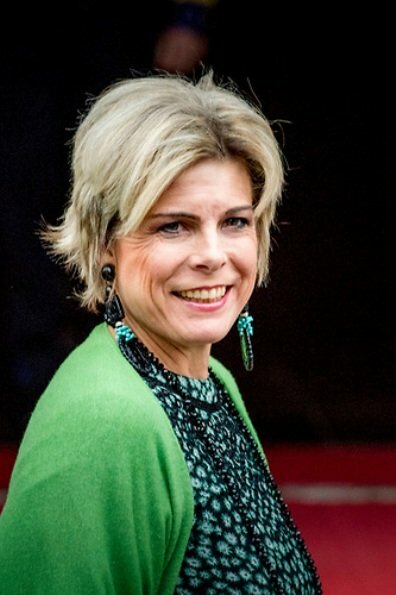 P.Laurentien needs a new hairdresser! They all do, starting, as always, with Maxima. 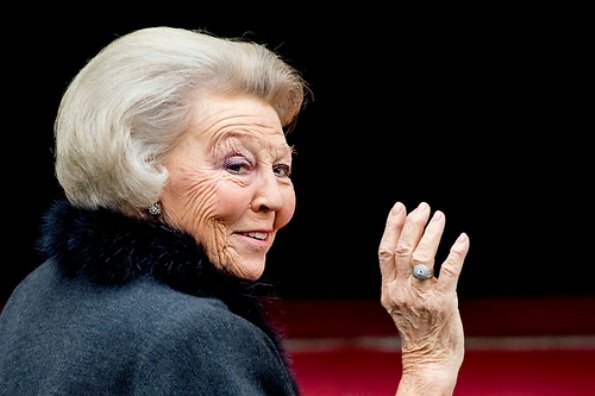 Beatrix is the best coiffed here, she's lucky to have such a headfull of hair at her age.